The trial, before Judge Jeffrey Minehart, is scheduled to resume tomorrow morning. Nicodemo faces 30 years to life if convicted of the first degree murder charge. He is also facing conspiracy and weapons charges. Zarallo told the jury that Nicodemo was involved in a "conspiracy to assassinate" DiPietro, a one-time South Philadelphia drug dealer. He said the gun and the car tied him to the murder plot and said he was just as guilty as the shooter. He also said authorities, when searching Nicodemo's home, found a pre-paid phone -- a "burn phone," Zarallo said -- and traced four calls made between the time the shooting occurred and the police arrived at Nicodemo's home. All four calls were made to another burn phone, he said. Zarallo also said a "close associate" of Nicodemo, Domenic Grande, fit the description of the hitman who, two witnesses said, was dressed in a black hoody and was wearing a mask and gloves as he fled the scene. The shooter was described as short and stocky. James Noone, a mailman who was working his route in the neighborhood, testified that he heard six shots and ran to find DiPietro lying next to a pickup truck. "His eyes were open and he was trying to breathe," said Noone, "but he couldn't" Noone said that he knew DiPietro from working in the neighborhood. The postal worker said he heard the first shot as he was at his mail truck a half-block away near the corner of Johnson and Iseminger Streets. He said as he ran toward the scene he heard another shot and then saw a man in a black hoody standing over DiPietro's body firing four more shots into the victim. The jury also saw snippets from a surveillance camera that captured Noone at his truck and running toward the murder scene. The video included the sounds of six shots being fired. The audio brought tears to the eyes of several members of DiPietro's family who were part of the packed eleventh floor courtroom. Lewis Houck, a second witness, testified that he was walking near Camac Street when the suspected shooter ran past him. He said he watched as the shooter jumped into a Honda Pilot that was parked in an alley that ran parallel to Johnson Street. Houck, who got the license tag of the vehicle and turned it over to police, said it appeared to him the engine was already running and the vehicle pulled away as the shooter jumped in and slammed the door behind him. The prosecutor said the motive for the murder remains unknown, but cautioned that the District Attorney's Office is not required to offer a motive. At the time of the shooting, several sources said DiPietro was suspected of cooperating with authorities in ongoing narcotics investigation. In his opening statement, McMonagle told the jury that Nicodemo "had no idea his life would be destroyed" when he woke up on the morning of Dec. 12, 2012. He said Nicodemo drove his two young children to school that morning as he always did, then he did some food shopping. That afternoon he drove over to the neighborhood around Iseminger Street, a neighborhood where his parents lived, where he had grown up and where he maintained a business office. McMonagle described the events following the shooting of DiPietro as "chaos" and said his client had "no idea" what was going on. The defense lawyer implied that Nicodemo was forced at gunpoint to drive away and that, a short time later, the shooter jumped out of the Honda Pilot, but not before hiding the murder weapon in a seat pocket behind the driver's seat of the vehicle. That's where police found the gun. McMonagle said Nicodemo had no motive to kill DiPietro and asked the jury if it made sense that he would commit a murder in his own neighborhood while driving his own car. "If this was planned," McMonagle said, "never in a million years would he drive his own car to a neighborhood that he goes to every day." At the time of Nicodemo's arrest, law enforcement sources described the shooting as perhaps "the dumbest hit" in the history of the Philadelphia mob, citing the same facts and raising the same questions that McMonagle posed to the jury. Nicodemo, who has been identified by New Jersey authorities as a suspect in the 2003 murder of mobster John "Johnny Gongs" Casasanto, showed little emotion during today's proceedings. Dressed in a white shirt and tie, he occasionally whispered in McMonagle's ear and during breaks he waved and nodded to friends and family members who helped pack the courtroom. 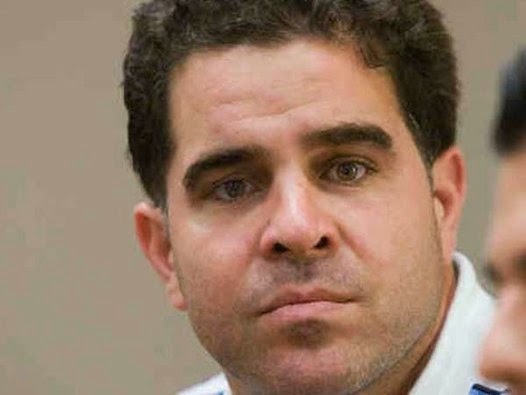 Law enforcement sources have indicated that Nicodemo could work a deal by giving up what he knows about the Casasanto murder and other acts of violence that authorities believe are linked to mob boss Joseph "Uncle Joe" Ligambi and his top associates. One underworld source predicted that Nicodemo would take his chances by going to trial for the DiPietro slaying, but would cut a deal if he were convicted. History would suggest that might not be the best strategy. The last mobster to cut a deal after being convicted of first degree murder was Willard Moran who was found guilty of the murder of union boss John McCullough in 1980. Moran is still in jail. Please note: The comments section of this blog has been blocked because a handful of readers, hiding behind anonymity, continue to take cheap, low-life shots that have little, if anything, to do with the story or any story posted on this blog site.